Services | Aman Builders Inc.
AMAN offers a full service approach that includes Construction Management, Design Build, and General Contractor services. As part of the team, AMAN’s Project Manager gets involved in the project from the start-up. This allows us to become active participants in the development process providing costing, value engineering and scheduling input to the project team. We have extensive experience completing project using this approach and have fine-tuned our processes to provide your project on time and within budget. Design Build offers a streamlined process of delivery whereby AMAN provides a single point of responsibility for both the design and construction aspect of a project. Our staff members incorporate innovation and economy without compromising building functionality. We provide creative solutions to clients that deliver the best overall for the project budget. With 25 years in the business, AMAN has in-depth knowledge of construction. We provide resources and staff to look after project management, estimating, accounting, site management, field operations and equipment to carry out our on-going projects. 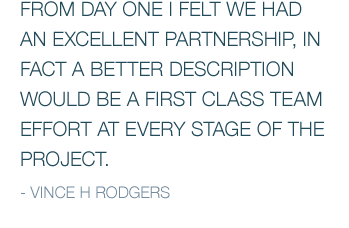 Each project is planned by the assigned team and monitored each step of the way. AMAN has gained a reputation for service, quality of construction and project completion on time and within budget. Our staff members, in the office and in the field, have both the experience and expertise to manage small and large projects. We believe that once you have experienced our service, you will want AMAN to be "YOUR BUILDER OF CHOICE".